Africa Web Solutions (Pty)Ltd respects the constitutional right to freedom of speech and expression. Africa Web Solutions (Pty)Ltd respects the constitutional right of Internet users to personal privacy and privacy of communications. Africa Web Solutions (Pty)Ltd respects the confidentiality of customers personal information and electronic communications, and will not gather, retain, sell or distribute such information to any other party without the written consent of the customer, except where required to do so by law. Africa Web Solutions (Pty)Ltd provides the following information on our web sites: registered company name, email address, telephone and fax numbers and physical address. Africa Web Solutions (Pty)Ltd will uphold and abide by this Code of Conduct. Africa Web Solutions (Pty)Ltd has an Acceptable Use Policy (AUP) for our Internet access services. This policy will be made available to customers prior to the commencement of any such service agreement and at any time thereafter will be available on our website, or on request. Africa Web Solutions (Pty)Ltd will act fairly, reasonably, professionally and in good faith. In particular, pricing information for services and products will be clearly and accurately conveyed to our customers and potential customers. Africa Web Solutions (Pty)Ltd offers service levels which are reasonably within our technical and practical abilities. Africa Web Solutions (Pty)Ltd complies with all compulsory advertising standards and regulations. Africa Web Solutions (Pty)Ltd will not send or promote the sending of unsolicited bulk email and will take reasonable measures to ensure that our networks are not used by others for this purpose. Africa Web Solutions (Pty)Ltd also complies with the provisions of section 45(1) of the ECT Act, and will not send or promote the sending of unsolicited commercial communications that do not comply with the provisions of section 45(1) of the ECT Act. Africa Web Solutions (Pty)Ltd has the facility for dealing with complaints regarding unsolicited bulk email and unsolicited commercial communications that do not comply with the provisions of section 45(1) of the ECT Act originating from our networks and will react expeditiously to complaints received. Africa Web Solutions (Pty)Ltd will take all reasonable measures to prevent unauthorised access to, interception of, or interference with any data on our network and under our control. Africa Web Solutions (Pty)Ltd will take reasonable steps to ensure that we or our customers do not offer paid content subscription services to minors without written permission from a parent or guardian. Africa Web Solutions (Pty)Ltd will provide our customers with information about procedures and software applications which can be used to assist in the control and monitoring of minors access to Internet content. Africa Web Solutions (Pty)Ltd will conduct ourselves lawfully at all times and will co-operate with law enforcement authorities where there is a legal obligation to do so. Africa Web Solutions (Pty)Ltd will respect intellectual property rights and not knowingly infringe such rights. Africa Web Solutions (Pty)Ltd will uphold and abide by this Code of Conduct and adhere to the associated complaints and disciplinary procedures. Africa Web Solutions (Pty)Ltd will take appropriate action where it becomes aware of any unlawful content or conduct on our servers and or network. Africa Web Solutions (Pty)Ltd will not knowingly host or provide links to unlawful content, except when required to do so by law. If Africa Web Solutions (Pty)Ltd becomes aware of conduct or content which has been determined to be illegal, it will suspend or terminate the relevant customer's service and report the conduct or content to the relevant law enforcement authority. Africa Web Solutions (Pty)Ltd will keep a record of all take-down notices received and any materials taken down for a period of at least three years unless possession of such materials is illegal. 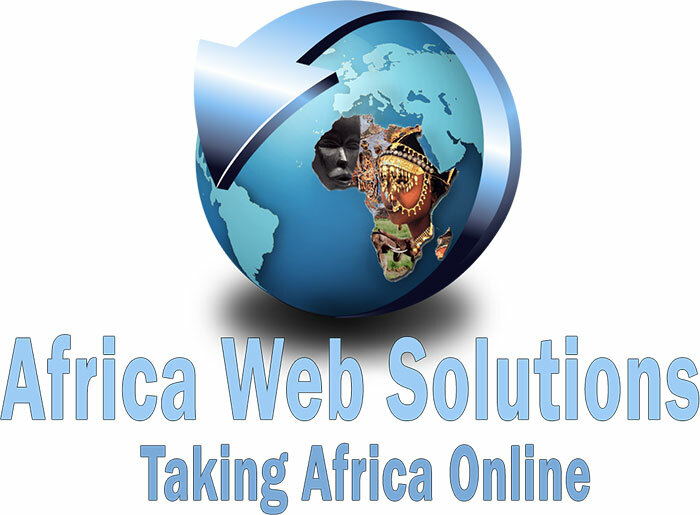 Africa Web Solutions (Pty)Ltd will operate with due regard for established Internet best practices, as set out in the various request for comment (RFC) documents and as mandated from time to time by established and respected Internet governance structures. Africa Web Solutions (Pty)Ltd will receive and investigate complaints made in accordance with this Code of Conduct, unless such complaints are frivolous, unreasonable, vexatious or in bad faith. Africa Web Solutions (Pty)Ltd will make all reasonable efforts to resolve complaints in accordance with our complaints procedure. Africa Web Solutions (Pty)Ltd reserves the right to make alterations to this Code of Conduct from time to time. Such amendments are binding on all Africa Web Solutions (Pty)Ltd customers.